Cycle to work scheme: Get a bicycle at 32% off or more! As we were talking about reducing transportation costs on the New Year financial boot camp, I encouraged you to go cycling and save on buss pass or petrol. Maybe a 32% discount on a bike will help you think about it? Have you ever heard of the Cycle to Work Scheme? It is a government initiative allowing you to buy a bicycle and all its accessories tax free, via your employer. You get a cheap bike, you stay fit going to work, you pay it in small installments, win-win-win all around. Technically, your employer buys the bike for you, and has you pay with a salary sacrifice. At the end of 12 months, the bike is paid for and ownership is transferred to you. If you leave the company earlier, they will take the remaining amount off your last pay slip. My company was not registered with the scheme, which is a simple formality, so I asked my boss if we could join, it took a few month, until he actually decided to get himself a bike, and suddenly the idea made sense to him… I don’t remember if there was a minimum size for the company to join, I guess not as we were under 10 people. I had been commuting by bike for months but my last good one had been stolen and I had spent the last few months riding a crappy second hand one so I was happy I could eventually get the good stuff. So I went to Halfords and decided to buy a £700 bike with around £150 worth of accessories. As everything was included, I bought several spares of brake pads, tire chambers, some oil, a water bottle, a rack to install at the back of the bike, a little bag for the front, etc. Most people just buy a helmet, which is already a big saving. Then I went back to my employer and asked for a voucher for the total amount. Back in the store, the only bike that was available was the exhibition model. They said they would get me a new one on Saturday, but when I came back to a fully packed shop (note to self: avoid shopping when families and kids do! ), I saw the exhibition model had been taken down and was ready for me. I was furious because I could have gone home with it days earlier and had made that trip back for nothing. Plus it had a little hit already, and the paint had worn off. So I asked for a discount, which they happily obliged. 10% doesn’t sound like much but I’ll take £70 any day. As I had my voucher for the full value, and enough accessories to last a lifetime, the guy offered Halfords vouchers, with which I could buy anything in store. Fair enough. Anyway, back to the company, 1/12th of the value of the bike was taken off the GROSS AMOUNT of my pay slip every month, meaning a tax saving AND easy 0% finance over a year. If you buy a £600 bike at 20% marginal tax rate, you will save £120 in taxes and £72 in National Insurance contributions over the course of the year. £50 gross will be deducted from your pay slip every month, meaning a net salary sacrifice of £34 per month. That is 32% off the cost of your bike. 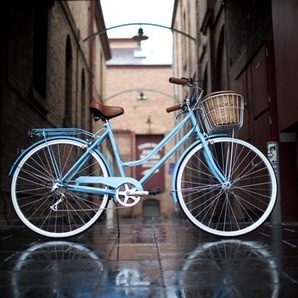 If you are a higher rate taxpayer, the same £600 bike will save you £240 in taxes and £12 in NI contributions, meaning a loss in net salary of £29 per month over the year, and a total savings of 42%. There is a savings calculator on the Cycle to Work Scheme’s official website, to help you figure out savings based on the price of the bike and your tax rate. This post was featured on the Financial Carnival Young Adults, thank you! My employer has just relaunched their cycle to work scheme and I’ll be taking advantage this summer. I think it’s worth considering any Salary Sacrifice offers from employers – I also do take up the childcare voucher scheme offered by most major UK employers, as does My Skint and combined that saves us around £130 a month. That is huge. And since the salary sacrifice is on the gross income, if you are on the higher tax bracket it gets even better.